Beach living at its finest in Ponte Vedra Beach. This fabulous 4 bedroom 3 bath home with luxury vinyl flooring and tiles throughout will lure you in. It has a fabulously long driveway with huge fenced in front yard as well as a great sized back yard. The home has been updated with granite counter tops in the kitchen and beautiful new cabinets. The upstairs features the master bedroom and two secondary bathrooms and downstairs features a separate bedroom. 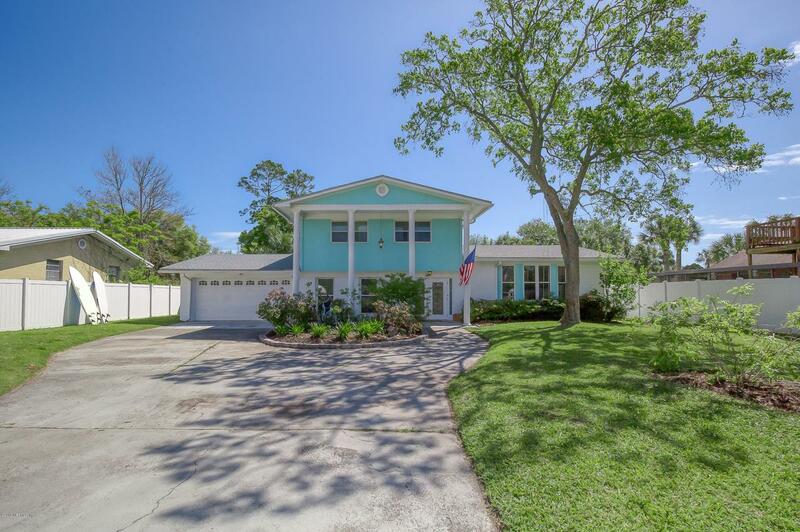 The best part of this home is going through the back gate and walking .7 miles and you can enjoy the beach. It does not get any better than this. Sellers are so bummed to leave their cozy home. This home is convenient to everything beach, highway and plenty of amazing restaurants.